Our approach to safety is simple: We take no unnecessary risks. And we believe controlled risk is necessary for personal growth and challenge. Camp Augusta’s comprehensive philosophy on risk extends to our Wilderness Trips. Risk management is always, always important on trips, and paramount in our planning and execution. Our staff are trained Wilderness First Responders, and have each been through a comprehensive and specialized Trip Leader training through our risk philosophy at Camp Augusta. A satellite phone is brought on every trip for use in the event of an emergency. Trip leaders carry a range of certifications depending on which trips they are leading. Climbing guides carry an AMG (American Mountain Guide) and others carry a WFR (Wilderness First Responder). All of our leaders are experienced, seasoned backpackers with many years of trips under their belts. And again, they are comprehensively trained in safety according to Augusta’s high-intention standards. 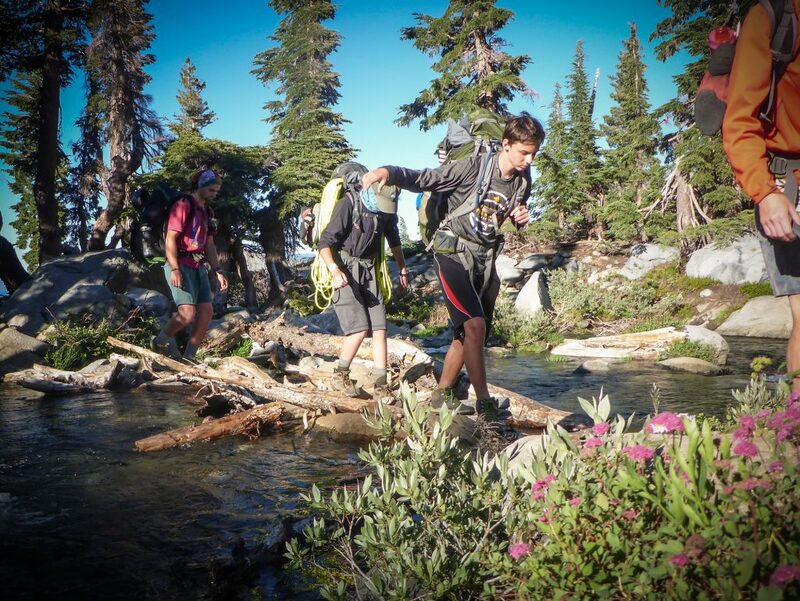 In order for all of our wilderness trip campers to have a healthy and safe experience, we encourage them to promote good cardiovascular health prior to their trip. It’s recommended that leading into the trip (or months before, of course) your camper participates in a cardiovascular workout at least three times a week for one hour. Examples may include biking, cross-country skiing, running, soccer, swimming, etc. What if something happens in the family at home? Can you contact your child if they need to know something? WFR includes extensive training in how to respond to minor injuries and illnesses. For serious complications, the group has a satellite phone and pre-organized back up plans for early return if needed. For the period of the trip, supervision and proximity by leaders will be in effect nearly 100% of the time, save instances in which a camper must have personal privacy. On some trips there is the option of a solo adventure, however during that time the camper will have planned projects to complete, letters to read and a journal to write in. Additionally, they will be checked on very frequently by the trip leaders to ensure that all is well. We have full Medical, Emergency Rescue, and Accident insurance for all trips. If the region of a trip is in the midst of a forest fire, then the trip would not run. If a fire breaks out while the trip was already active, then the leaders would be notified via their satellite phone and would revert to a planned, alternate exit route and evacuate as soon as possible. Swimming is sometimes a very enjoyable aspect of the wilderness. Some trips involve swimming (always optional) depending on timing, water quality, interest and ability.